Aspen was born and raised in a small town where tractors held up traffic on the way to school in the morning, and cows were kept as pets. Her love for all things creative began at an early age: from make believe bedtime stories, to yodeling in a spring music show, she’s been keeping it real since day one. Aspen graduated from Saint Louis University with a degree in Marketing and a minor in Visual Communications. She divided her time between work (as your friendly neighborhood barista) and on-campus involvement including participation with the student literary magazine and volunteer efforts with Alpha Phi Omega. 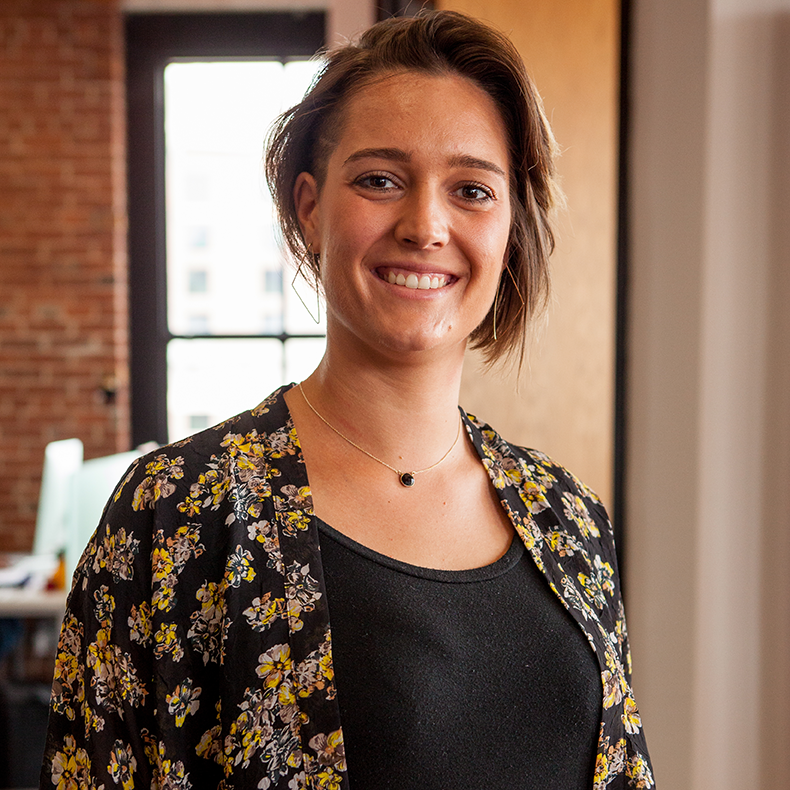 When she’s not here at Think Tank learning to be one of the greatest ninjas around, Aspen enjoys the Saint Louis food scene, taking long walks with her dog Biscuit, curating the perfect GIF to accompany her text messages, and traveling with her world-class family.